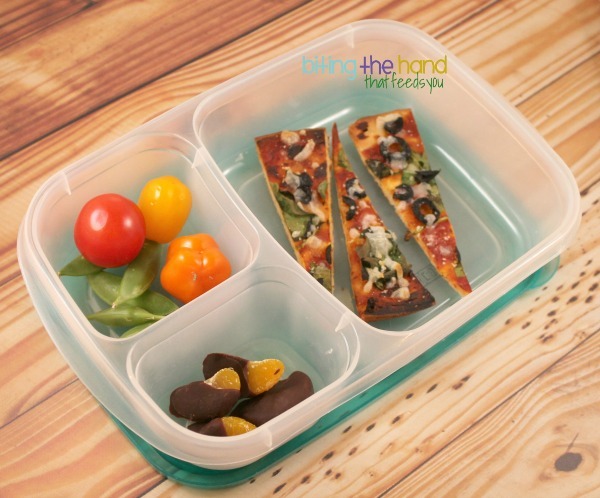 Biting The Hand That Feeds You: MOMables Monday - Pizza Dippers and Chocolate-Dipped Oranges! 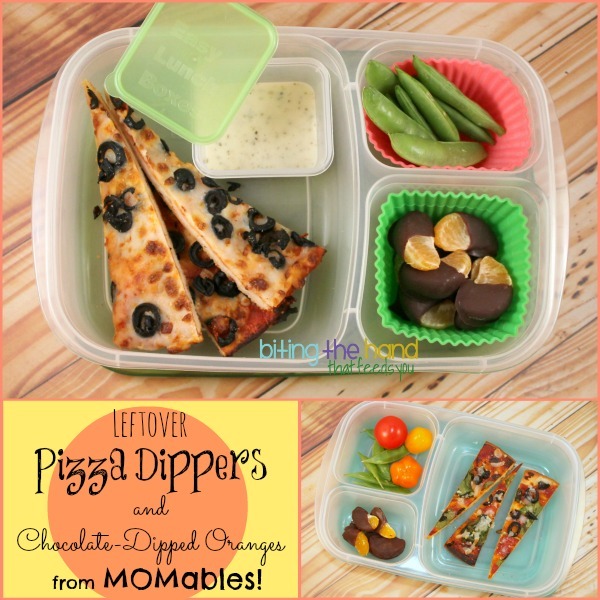 MOMables Monday - Pizza Dippers and Chocolate-Dipped Oranges! 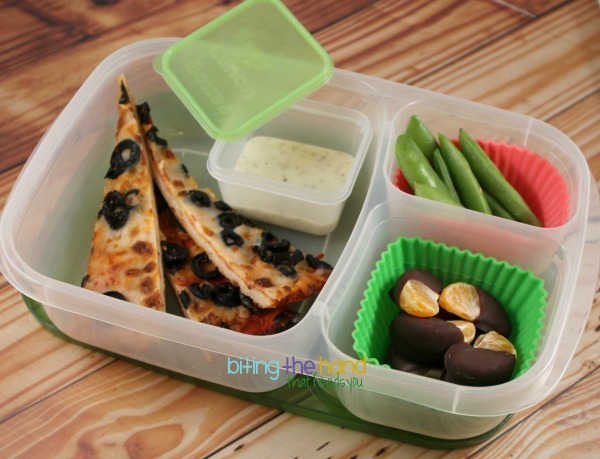 Monday, 1/6/14 - We had gluten-free pizza left over from my nephew's birthday party over the weekend, so I made the girls Leftover Pizza Dippers! I also made some MOMables Chocolate-Dipped Oranges at his Chocolate Dipping Party, so saved some to use in these lunches. 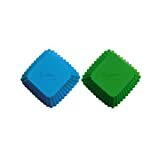 Since Domino's doesn't have a non-dairy cheese alternative, I order E's half without cheese. This one is spinach and olives, and I added some vegan cheese shreds on top of the leftovers and broiled them for a few minutes.